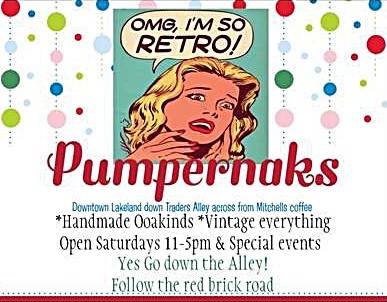 Down an alley, in downtown Lakeland you will find a hidden treasure- Pumpernacks. Follow the red brick road to discover a store full of incredible new and vintage items. Ann Rubin opened her store only two years ago. Is was always her dream to have her own store of fun vintage items. Ann's husband is an architect who happened to be remodeling the building a few years back. He noticed this terrific little spot on the back of the building that could be an ideal location for Ann's store. Without hesitation, she was excited at the opportunity to make her dream a reality. She grew up learning how to collect and find extraordinary items from her grandmother and mother. Pumpernacks is only open on Saturdays from 11-5. Ann is a full time mother. She devotes Monday to Friday to family. Saturdays are her days to have "me" time. The store provides customers with a wide array of collectibles from jewelry, to globes, to winter wear, to porcelain geese. Ann enjoys making a difference in society by selling items to help others. You will find jewelry made by a woman, Amy, with a handicapped son, Connor (pictured on the left*). She uses the proceeds from selling jewelry to help her son. Amy says, "I am inspired by him every day. He is truly a blessing!" Amy was able to purchase a handicapped-equipped van with her jewelry sales. I suggest you stop by Pumpernaks to purchase this special jewelry. For more information on Amy and Connor click here. 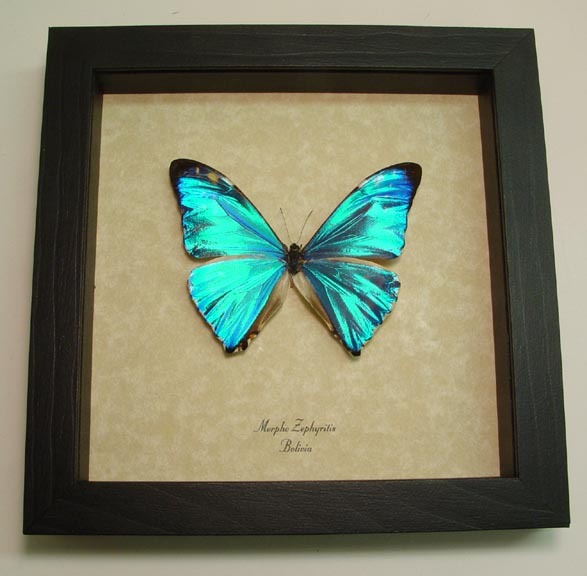 Other inspirational items sold are framed insects. At first glance, I was unsure what was so interesting about this pinned-up bugs. Then I read the back of the frame. They are raised in cruelty-free tropical farms. These butterflies, beetles, dragonflies and other insects create a source of income for native people. These pinned-up bugs prevent the natives from selling trees off of their land or raising cattle. Both of which are ecologically disastrous for the environment. Additionally, all of the items are made in the USA! Without a doubt, Pumpernaks is a fabulous place to stop by on a Saturday afternoon. I left with a snakeskin handbag. The kind my grandmother probably had herself in the 1940's. Following the red brick road will put a smile on your face with the wonderful items you will find at Pumpernaks. Make sure you like Pumpernaks on Facebook. *Photo obtained from this website. Thank you, Cinin! She is a pleasure to meet and I love her store!